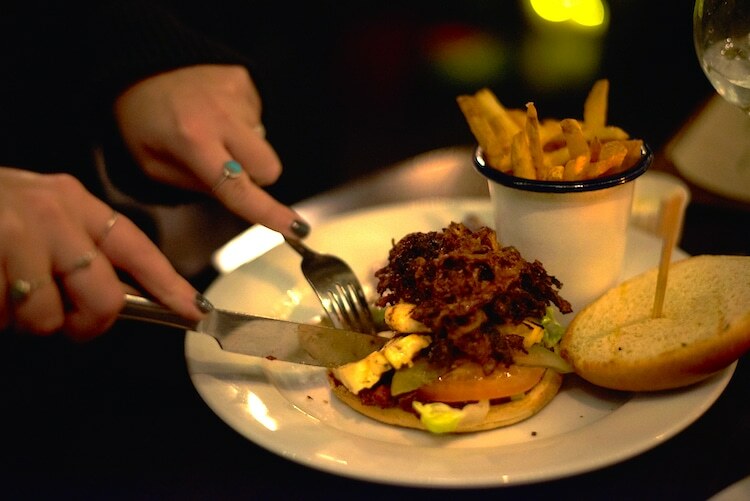 Home Blog Reviews The West Hill Tavern, Brighton – Dinner Review. 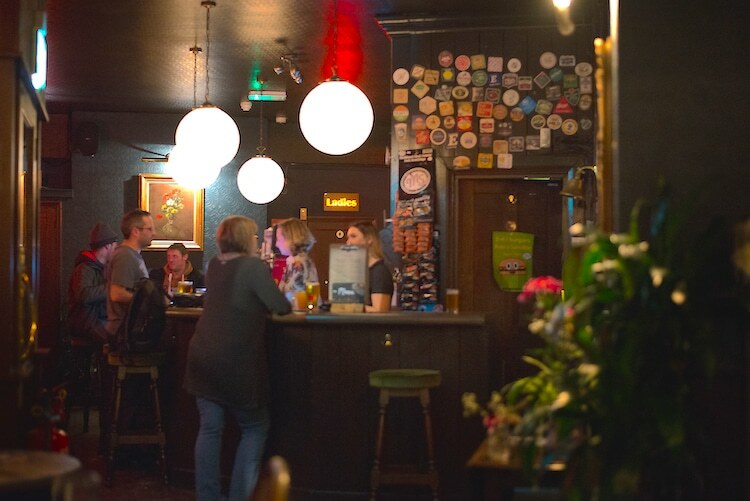 The West Hill Tavern has had a refurb this year. 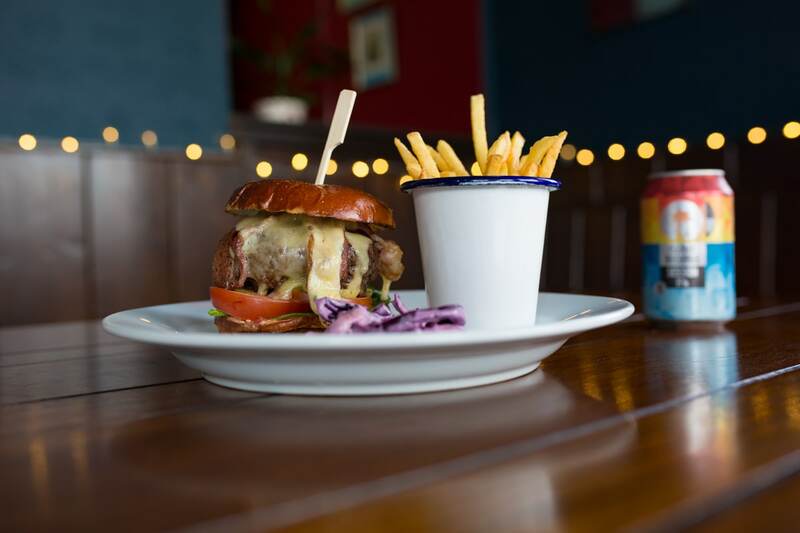 It’s situated just two minutes up the hill from Brighton train station and then another two minutes from the Seven Dials area. 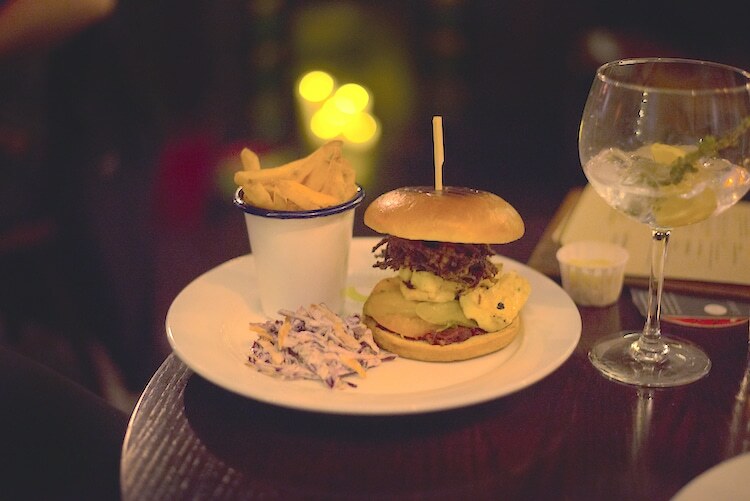 It now boasts a fantastic menu, delicious G&Ts and a cosy atmosphere being lit with fairy lights. 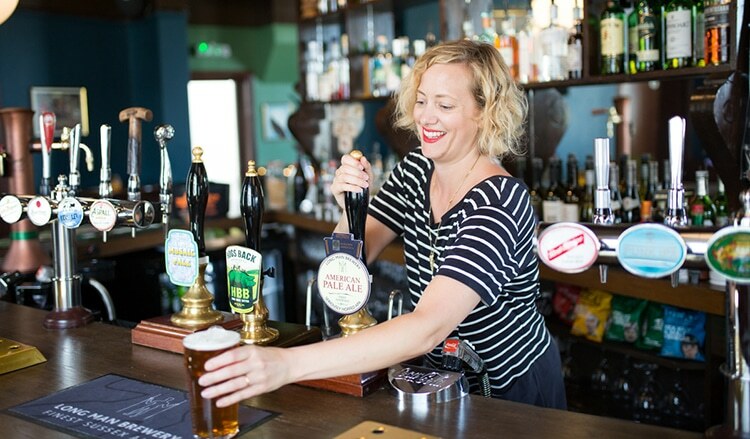 There are lots of original features and sofas to lounge on and their speciality drink is gin – there’s a whole menu with local gins and delicious mixers from which to choose. 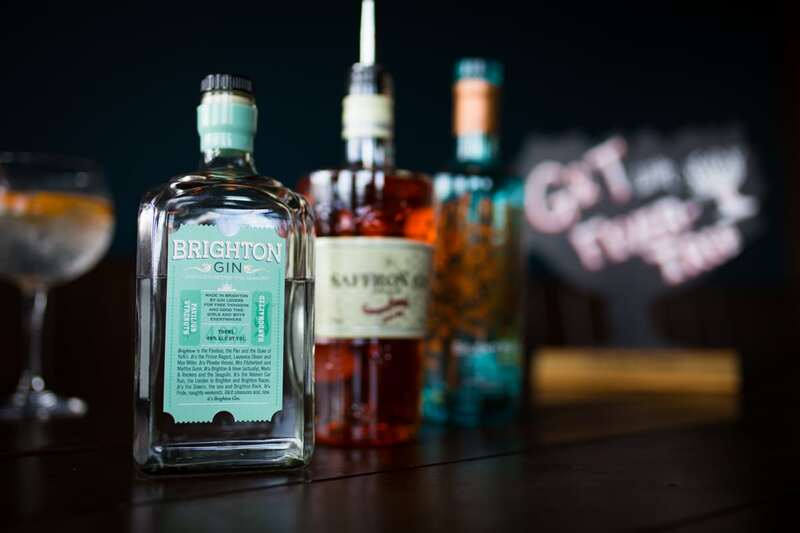 And of course there’s more than just gin to drink! The menu had a broad selection to choose from including fish, vegetarian, meat & vegan options. It was great to see not one but three vegan choices which included the BBQ Jackfruit & Seitan Burger, a Chili-Non-Carne and Tofu ’n’ Chips. There were a few ‘picky bits’ which we had as a starter, these would be perfect as drinking snacks too, something a bit more substantial than your crisps and nuts to accompany a few drinks. Again, a good selection for both carnivores & omnivores including the Crispy Fried Calamari, BBQ Seitan Nuggets and other tasty delights. I also noticed they accommodate kids with a couple of options for the little’uns, and they do some awesome sounding Sunday Roasts that come with all the trimmings. We arrived on a crisp Friday evening and were warmly greeted and shown to our reserved table. The atmosphere was perfect, it was cosy, dimly lit and had a fireplace lit up with candles. There was a notably cool and tasteful soundtrack accompanying our evening too. We started by choosing one of their G&T’s. 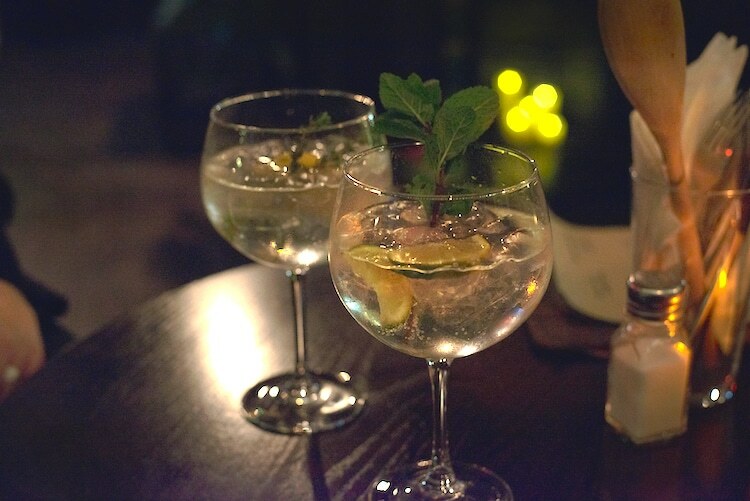 The menu had over 10 speciality gin drinks to try, all made using a Fever Tree mixer. 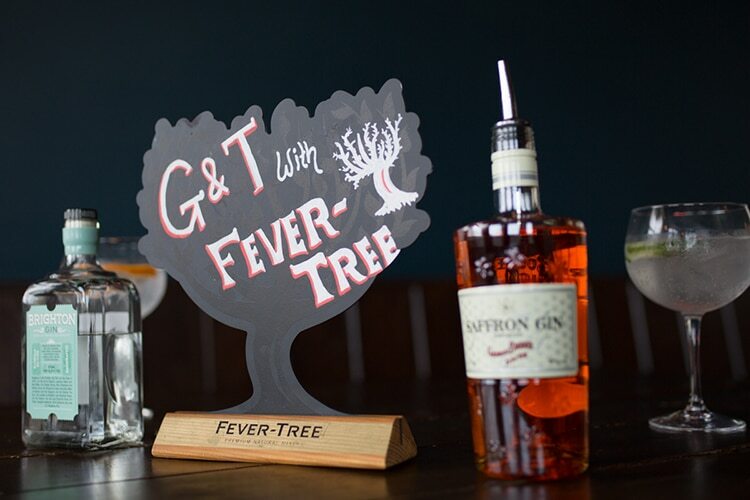 The gins were local as well as coming across seas, and the Fever Tree tonics included flavours such as elderflower and aromatic notes, then each drink was garnished with a pairing herb or fruit to make it really special. I went for the Silent Pool gin which is made in Surrey, has layers of lavender and chamomile flavours and is garnished with mint and lime. After expressing much appreciation for our drinks with each other, our Picky Bits arrived. Mine was the BBQ Seitan Nuggets and Alice chose the Crispy Fried Calamari. I was introduced to the ingredient seitan earlier this year, and have since been intrigued in the different ways it can be prepared. It’s got the texture of meat and soaks up flavours. 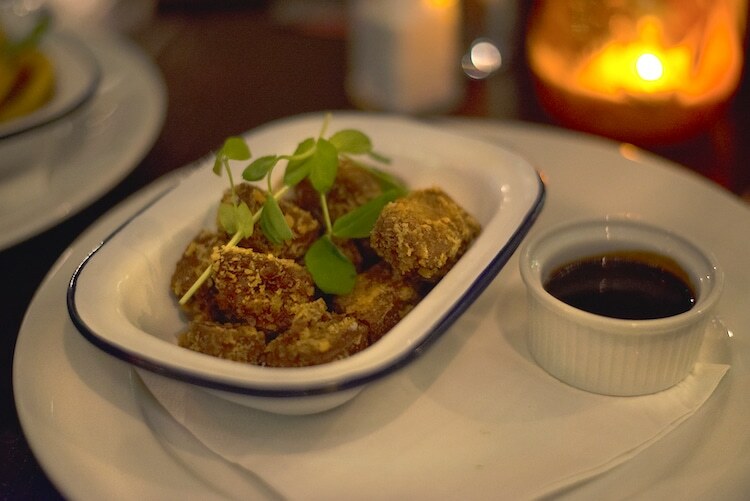 The nuggets had been coated in crispy breadcrumbs and came with a dark BBQ sauce, the portion was even enough for two to share as a starter. 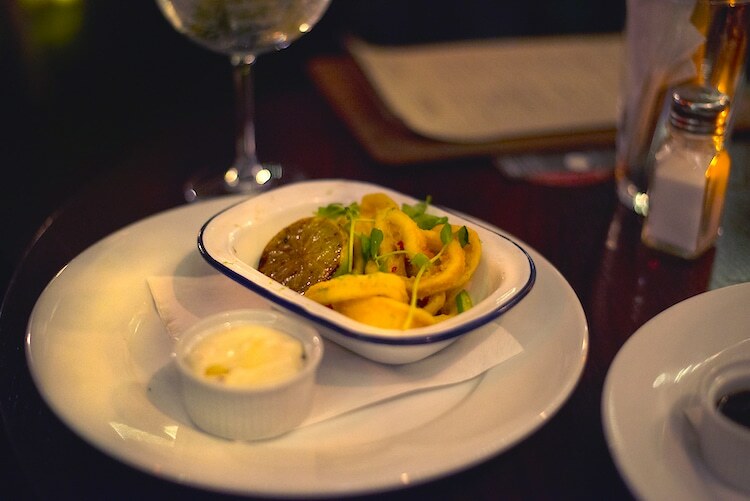 Alice told me her Calamari wasn’t chewy, perfectly cooked and she thought the fresh chilli and lime mayo complemented it very well. For my main, I went for another seitan option because I’m still curious about it so had the burger, which was served on a brioche bun with fries and coleslaw. The slaw was super creamy and crunchy and broke up the sweet flavours of the BBQ and pulled Jackfruit. Alice went for a burger too and had the Argy Bhaji which included halloumi, onion bhaji, aubergine, chutney and salad on a brioche bun. She said there was a generous chunk of halloumi, the bhaji wasn’t oily with a good crunch and the chutney added a nice tang to the burger. Overall it was a lovely relaxed Friday evening with delicious homemade food which you can tell by the menu and the food itself is cooked by people that really love food! I liked how the pub is close to town yet wasn’t heaving with people and loud banging music playing where you can’t hear each other talk. 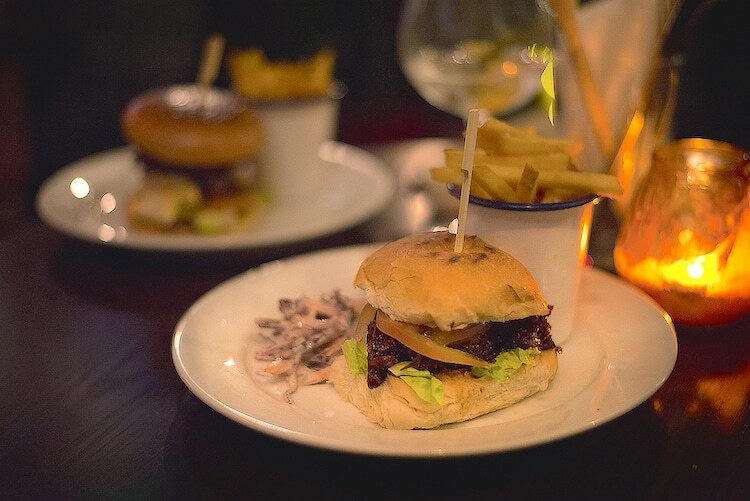 I noticed they do a 2-4-1 Burger night every Tuesday which I’ll be taking advantage of and I will definitely be coming back to try their vegan roasts, as I’ve heard they’re something special.